Blackjack is a classic and popular casino game among enthusiasts and players, and the reasons are obvious. Aside from easy and entertaining rules and game-play, Blackjack also offers some of the best prizes and come with high-class prestige and reputation. 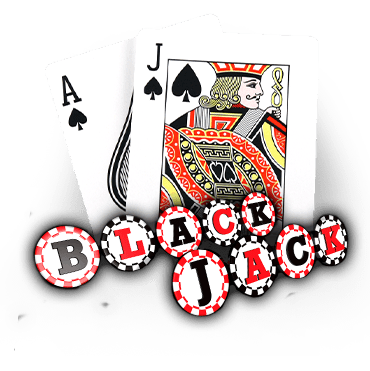 Blackjack tournaments are also hosted that draw some of the best and most experienced Blackjack players in the industry. The popularity isn’t just limited to casinos; even in film, this classic card game takes centre-stage with movies like ‘Casino’ (1995) and ‘Rain Man’ (1988). Thanks to a combination of prestige, huge prizes and excitement, many casino players and enthusiasts play and prepare for the game to the point of cheating in the game. It may seem like an impossible proposition but countless stories and casino anecdotes suggest that some players and even groups tried their hand in winning a game of Blackjack using questionable approaches and strategies. Although it’s an individual game, Blackjack can be played by a team of players and enthusiasts who work together inside the casino. There are three approaches on how to make this happen; front-loading, spooking and first-basing. These creative approaches to playing and cheating in Blackjack requires a member of the team who will serve as the look-out for the down cards at specific moments of the game and relay the information to the players at the table. One approach is front-loading, where one player from the team occupies the seat in front of the casino’s dealer in such a way that he’ll get a low-angle on the table. 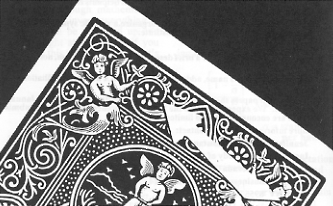 If the casino’s dealer slides the down card over the table, he may tip the down card to slightly reveal the value. This information is then shared to the other members of the table or team. Another trick is spooking, where a member of the team will stand just behind the Blackjack dealer. Usually, he may sit at another table to ensure discreet operation. Given an opportunity, this person may take a peak at the card values and throw the information to other players at the table through some signals. Another team-based approach is first-basing where the participation of two players are required on a table. The first person sits beside the Blackjack dealer, wagers the minimum and watches out for the down cards. Through the years, players have tried using a variety of basic techniques to beat the odds and the dealer and one popular way is to mark the cards. This is a creative, traditional (and often labour-intensive) approach to winning the game. Under this approach, the player simply scratches a part of the card, or put some marks on the cards for easy recognition. Under this arrangement the players will note the 10-point cards to easily figure out if the Blackjack dealer holds the blackjack. If there’s one cheating approach that has remained popular, then it must be card counting. Card counting refers to the mental counting of the card values, thus giving the players a running total of the card values that have been dealt (or not dealt). A testament to its popularity is the many movies and documentaries that have been made on the subject and the people or teams that stunned the gaming world. Under this approach, the players use a plus and minus system to know the concentration of card values. If it’s in the positive side, it means that higher card values are still available. This was the same strategy that was used by an MIT team during the 1980s and was the subject of a movie and documentary, and it was even reported that Ben Affleck has been known to have tried to use this, thus he was prevented from playing in some places. Casinos are in the business to provide entertainment and make money, and players will also want to win. And to make this happen, certain approaches and strategies including cheating will form part of the plan. Some of these strategies have been addressed by casinos using a variety of techniques including close watch and monitoring as well as the use of different sophisticated devices. Although these are in place, it’s expected that players will still find ways on how to win and win it big.